It’s grilling season and we just bought a new grill! I knew one of the first things to be made had to be something impressive. 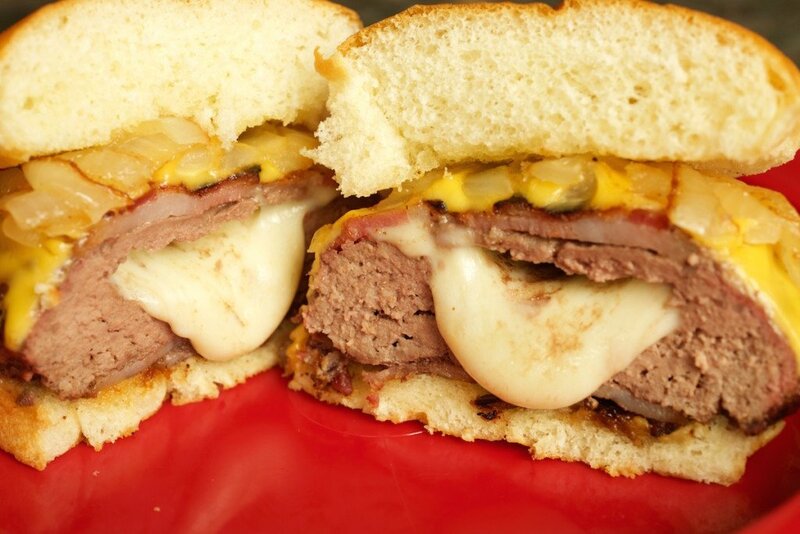 As we’ve stated many times before, we’re big fans of bacon around here and meat, and well, cheese! It’s go big or go home, so I attempted something I’ve never done or eaten before….a bacon wrapped, cheese stuffed burger. Man, just thinking about it is making me hungry all over again. I tell you what, that burger was GOOD! The bacon locked in the flavor and the cheese on the inside kept the burger meat itself very juicy and tender. And of course I had to top the burger off with even more cheese and a few grilled onions just to add a little somethin’ somethin’! On top of that, throw the burger on a Kings Hawaiian bun (let’s be real, there’s no other bun better) and I’m done!!! But that’s what’s great about burgers. They are so customizable. You can choose to wrap your burger with even more bacon or add a different cheese and other toppings for that matter on the inside. I’m definitely going to start experimenting now that I’ve got one successful burger under my belt. This was the first of many burgers our new grill will see this summer for sure! Turn your grill on medium and let heat up for about 10-15min. While grill is heating, divide your ground beef into 4 parts. Take one handful of beef and gently make a hole in the center as you flatten it out into a patty. Fold up a slice of mozzarella cheese into quarters and place it in the hole of the patty. Wrap the outer edges of the patty up and around the cheese, trying not to leave any holes where the cheese might eventually run out when melted. Season the burger on both sides with salt, pepper, and garlic powder. 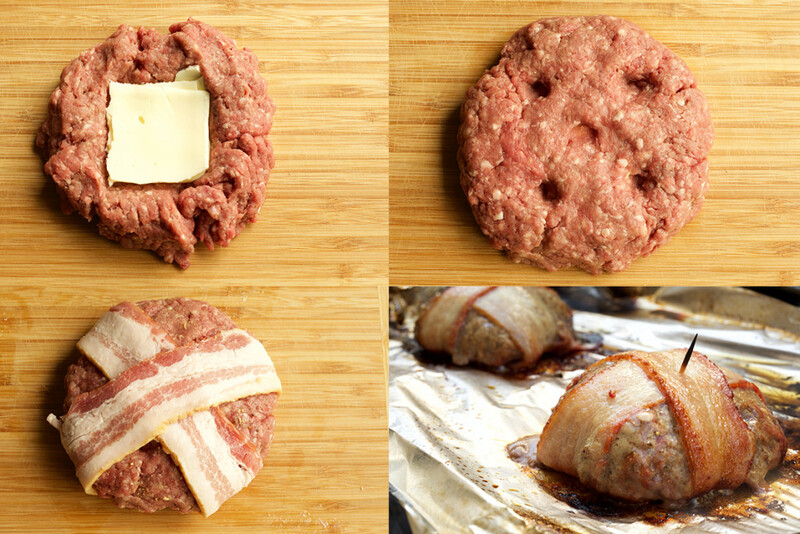 Take two slices of bacon and wrap around the burger in a criss-cross with the ends meeting on the bottom. 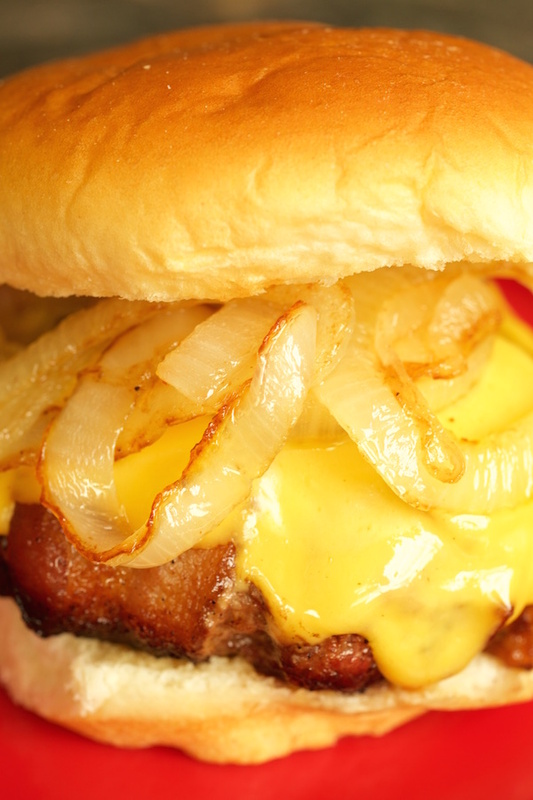 Put a toothpick through the center of the burger and bacon to help keep the bacon from falling off once grilled. Place the burger on the grill (I put down foil first so that the bacon grease wouldn’t start a crazy fire in my grill). Close the lid and let cook for about 15 min on one side. (My grill does not have a temperature gauge and depending on the heat you may want to flip a few minutes before or after the 15 min). Flip the burger and let cook for another 5 min. Flip one more time, add the slice of American cheese on top, close the lid and let cook for 1min or until cheese is melted. 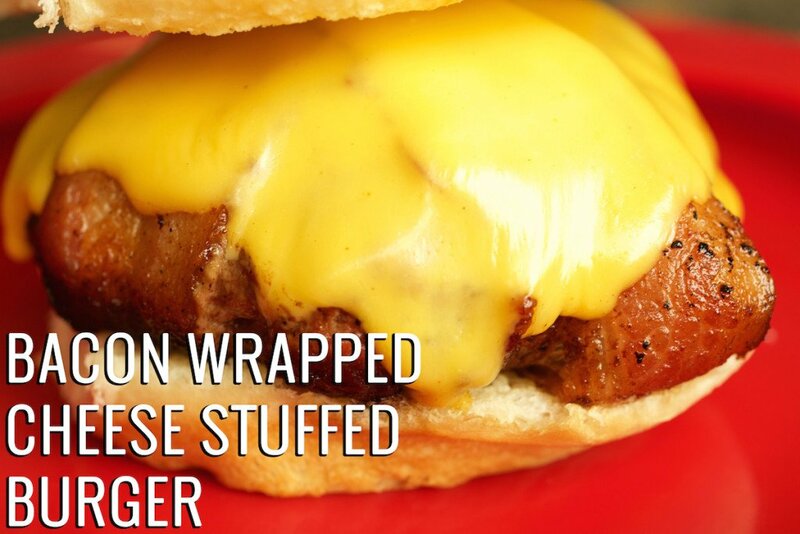 Remove from grill and dress burger however you like. Take a bite and savor the tastes exploding in your mouth! How did you stop the toothpick from poking a hole in the foil?